NanoCoat Metal 2 in 1 is an invisible, anti-corrosive treatment where the surface preparation is included with the protective solution. NanoCoat Metal 2 in 1 is an invisible, anti-corrosive treatment where the surface preparation is included with the protective solution. It provides long-term corrosion protection on a range of metal surfaces. 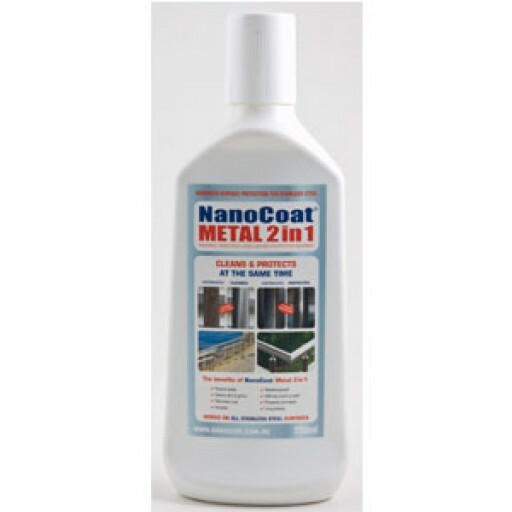 NanoCoat Metal 2 in 1 is especially suited for protection of stainless steel. Once a metal surface has been treated, almost everything can be simply removed with a damp cloth.